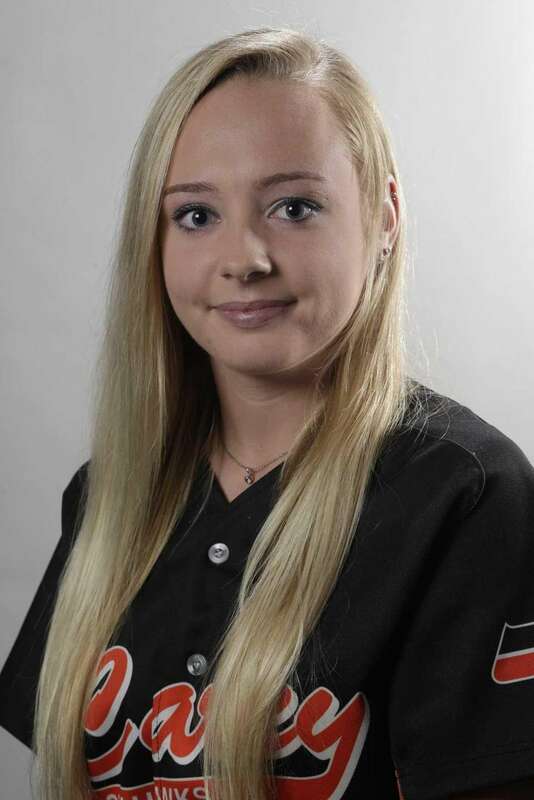 Meet the athletes who hit, pitched and fielded their way onto the Newsday All-Long Island softball team for the 2016 season. 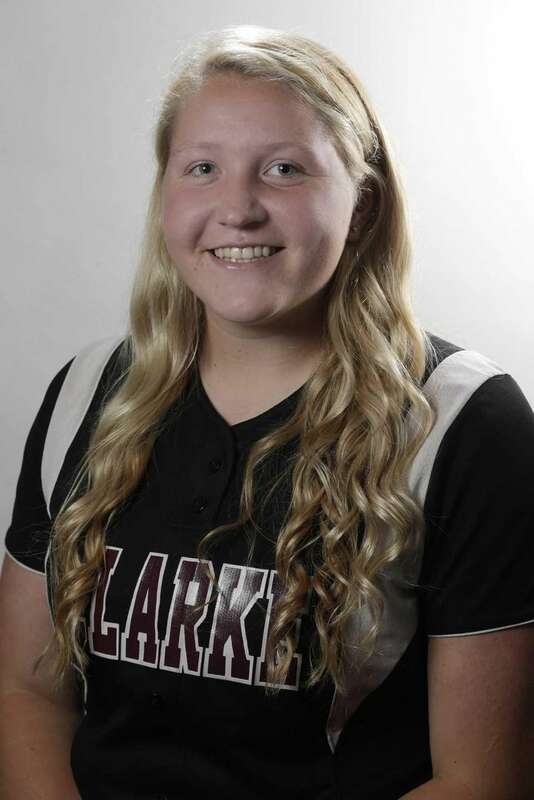 Long Island Player of the Year: Sarah Cornell, Clarke, P, Sr.
Cornell's six years on the Clarke softball team were perfectly summed up by her coach. "I've said it before, I'll say it again," Rachel Barry said, "Sarah is a once in a lifetime player." 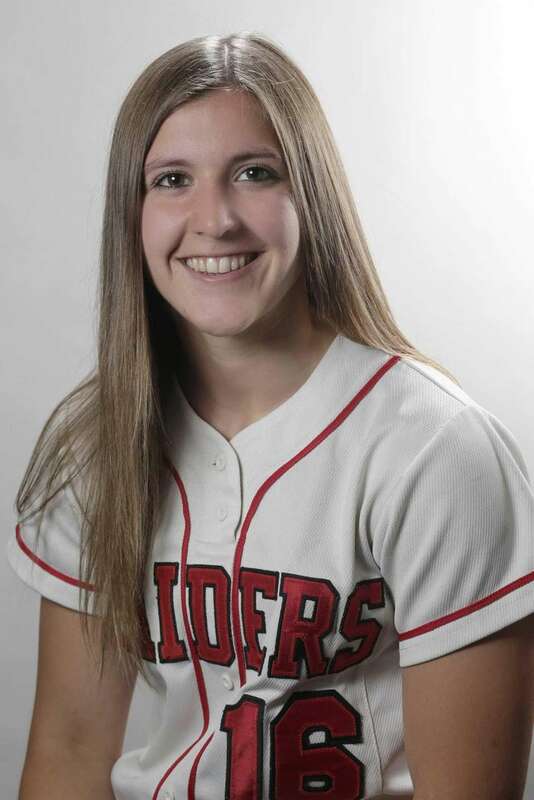 Cornell capped a dominant six-year career -- in which she won 73 games, had 29 shutouts, and threw nine no-hitters -- by guiding the Rams to a second straight Long Island championship. 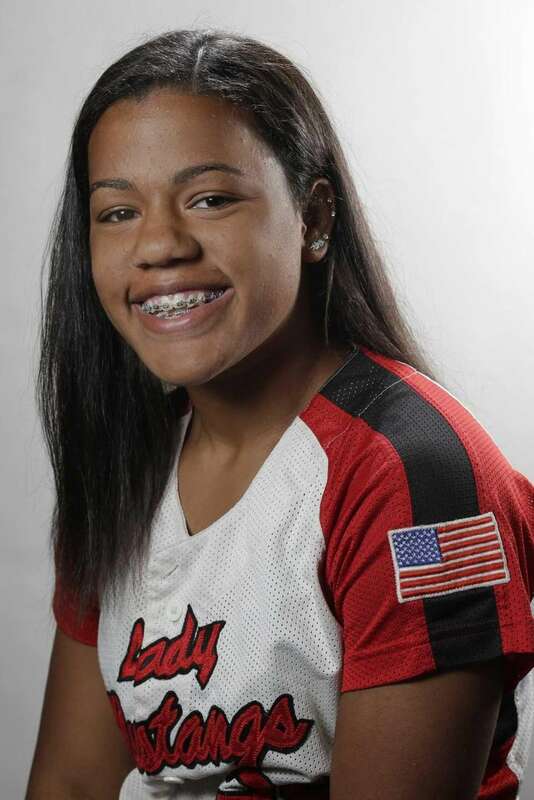 She is Newsday's softball player of the year for the second straight season. The Hofstra-bound pitcher became Long Island's all-time leader in strikeouts this season, finishing with 1,345. Cornell went 18-4 with a 0.58 ERA, 266 strikeouts, 11 shutouts and a perfect game en route to being named All-American and Gatorade New York softball player of the year. But of all her accomplishments, she said she's most proud of helping the Rams advance to the state final in each of the last two seasons. "The games didn't turn out how we wanted," she said. "But it was a great ride." Cornell's ride will continue right here on Long Island. 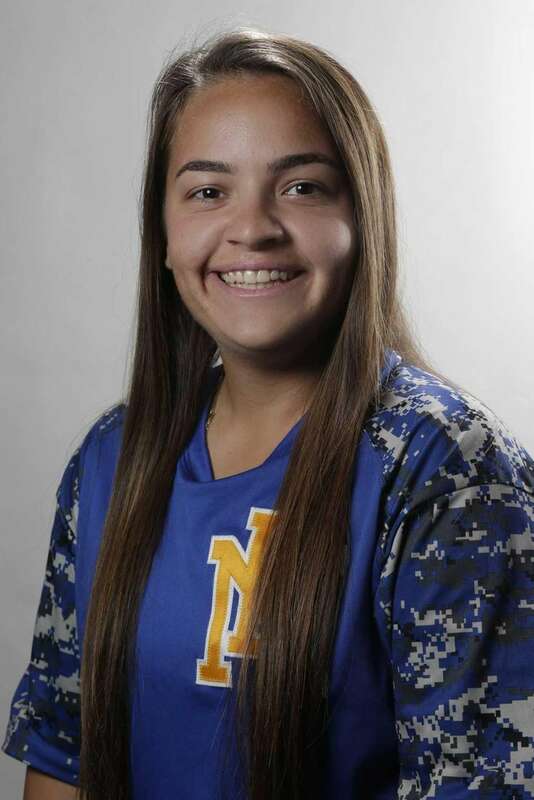 "She's becoming a household name on Long Island when you talk about fast-pitch softball," Hofstra softball coach Larissa Anderson said. "She has worked very hard over the years and it has paid off. But the one thing you can't measure or receive an award for is her determination to be great and her desire to help her teams win. It's those qualities that most excite me for Sarah's next four years at Hofstra." 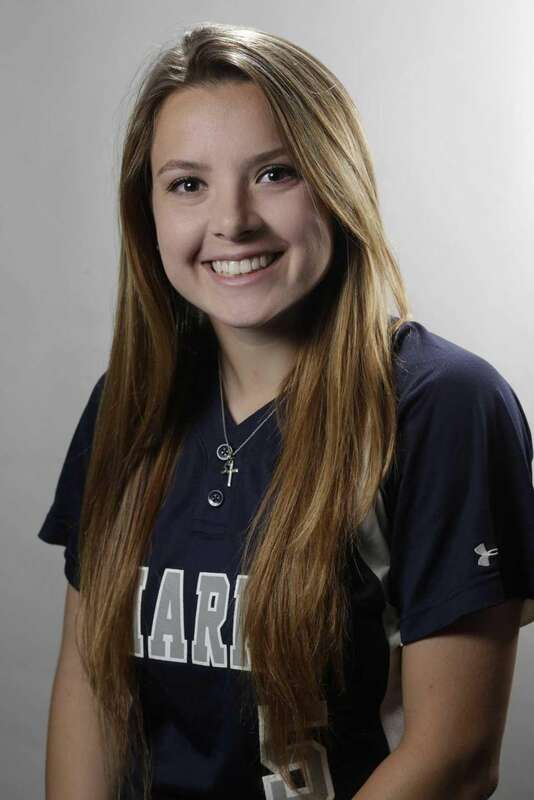 Suffolk Player of the Year: Marissa Rizzi, Eastport-South Manor, P, Sr.
Rizzi led Suffolk in wins this season, going 21-4, and earned All-American honors. 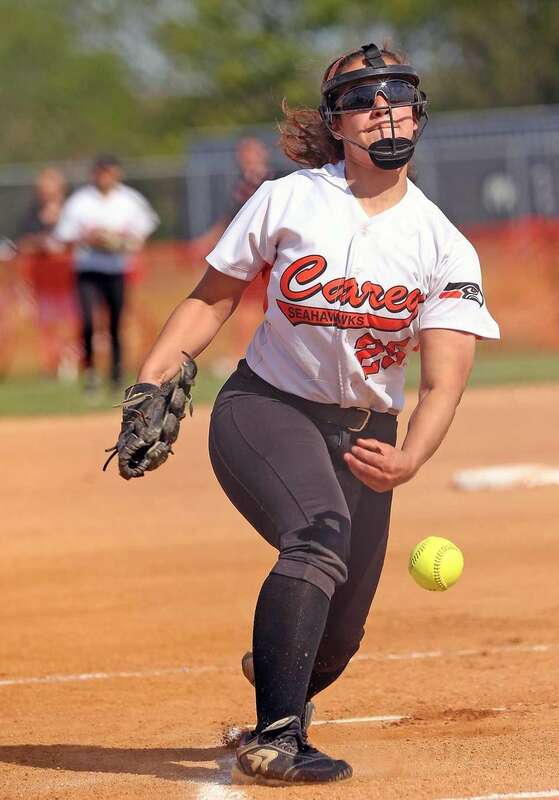 Forming a battery with her twin sister Christina, Rizzi posted a 0.82 ERA and struck out 206 batters while helping the Sharks obtain the top seed in the Suffolk Class AA playoffs. At the plate, she hit .500 with 30 RBIs. As a five-year starter, Rizzi hit .536 and drove in 139 runs. In her four seasons as starting pitcher, she went 83-16 with 722 strikeouts. 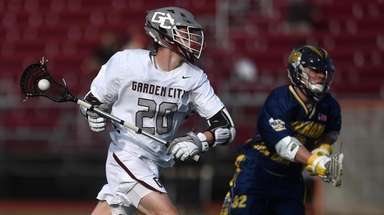 "I would say the accomplishment I'm most proud of is being consistent the last five years," said Rizzi, who was selected Newsday's Suffolk player of the year for the second straight season. "Christina made it easy because she's always very encouraging and pushes me when I need to be pushed." Rizzi will continue her softball career at St. John's University. "I'm so excited to play for St. John's," Rizzi said. "And I'm ready for the challenges it's going to throw at me." 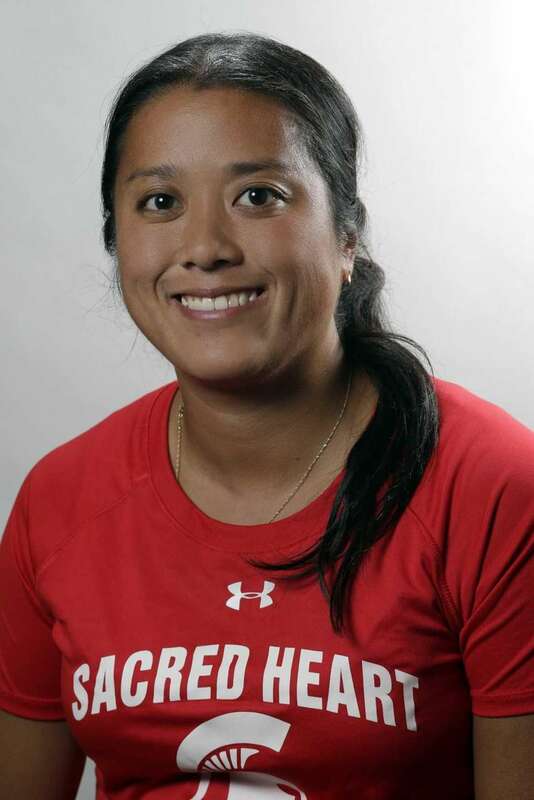 Janae Barracato, Sacred Heart, 3B, Jr.
With a power bat in the three-spot, and a sure-handed glove at third, Barracato helped lead the Spartans to their best season in program history. She hit .479 with six home runs, 45 RBIs, and 12 stolen bases during Sacred Heart's run to a state championship. 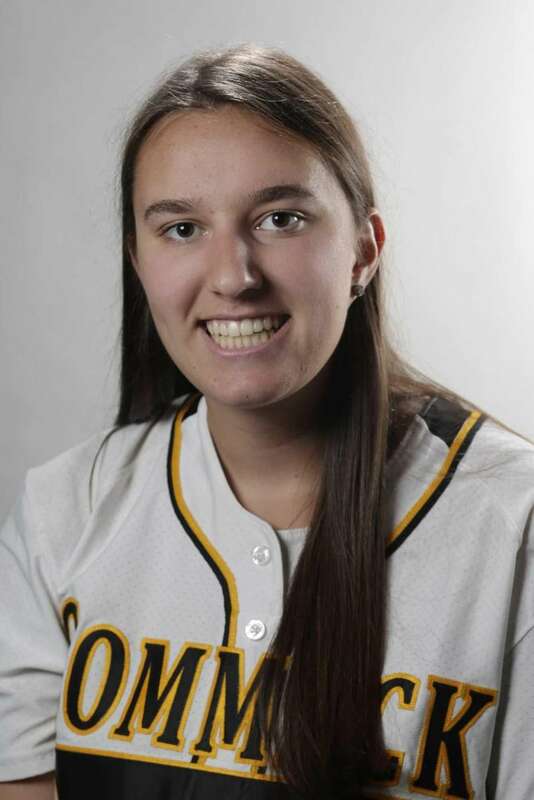 Alysa Bluethgen, Commack, P, Sr.
She went 19-5 with a 1.33 ERA and 197 strikeouts while leading the Cougars to their best season in nearly three decades. Oneonta-bound, she allowed one run in a complete game during the county final to help Commack capture its first championship since 1989. 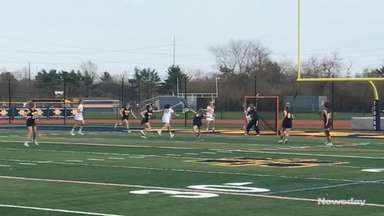 Jess Budrewicz, MacArthur, P, Soph. 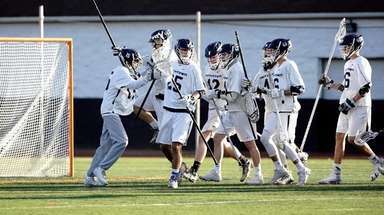 Led Nassau in wins and helped the Generals capture the Long Island championship. With the ability to mix her pitches and hit her spots, Budrewicz went 21-5 with a 2.13 ERA and 267 strikeouts. Lové Drumgole, Mount Sinai, SS, Soph. Drumgole, a five-tool player, had a hit in every game from the season opener to the county final. She hit .641 with 28 RBIs, and was safe on 31 of 32 stolen base attempts, while leading the Mustangs to their second straight county championship. 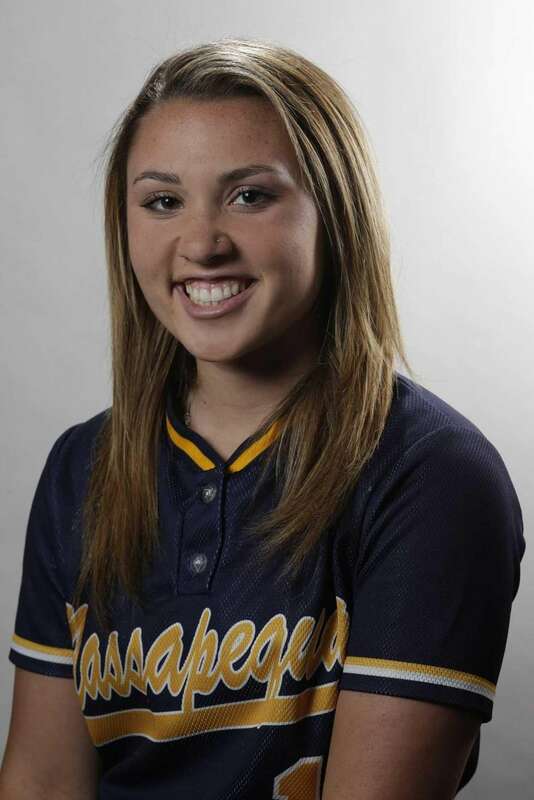 Courtney Greene, East Islip, P, Jr.
Greene led East Islip on a surprise run to the county final. 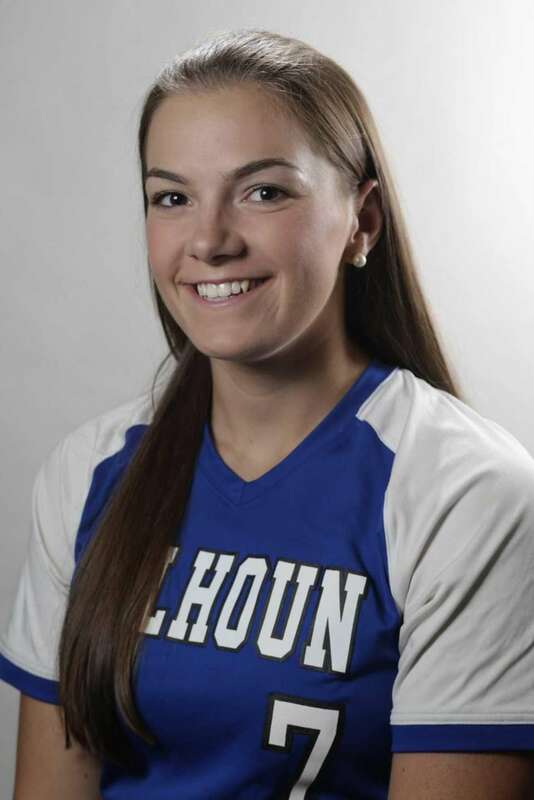 She hit .375 with four home runs in the playoffs and helped EI upset defending champion Eastport-South Manor. She went 17-7 this season and hit .327 with 27 RBIs. Nichole Imhof, Calhoun, P, Jr.
Had the highest batting average in Conference AA-I, the top ability based conference in Nassau. She batted an astounding .714 with three home runs and 19 RBIs. 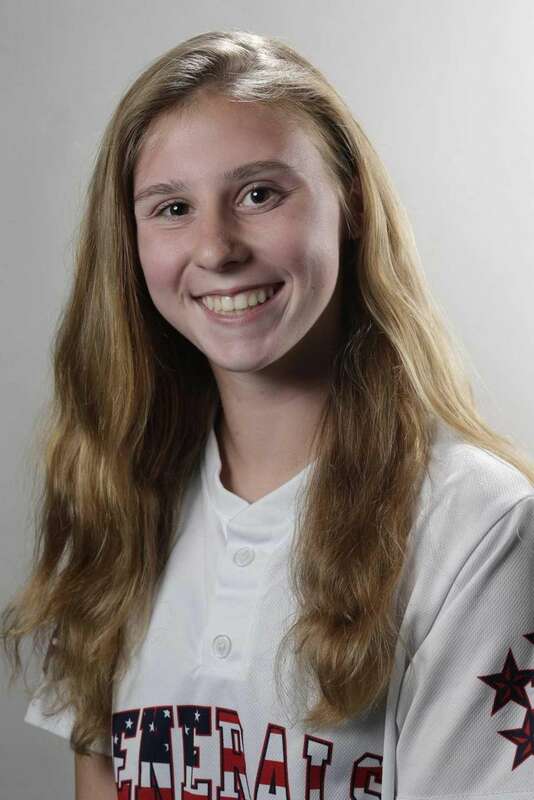 She'll play Division I softball at UMass-Amherst. Sarah McKeveny, Connetquot, P, Jr. The Bryant University commit pitched five no-hitters, four one-hitters, and finished 13-6 with a 0.96 ERA. She hit .371 with 13 RBIs while leading the Thunderbirds to the League II title. 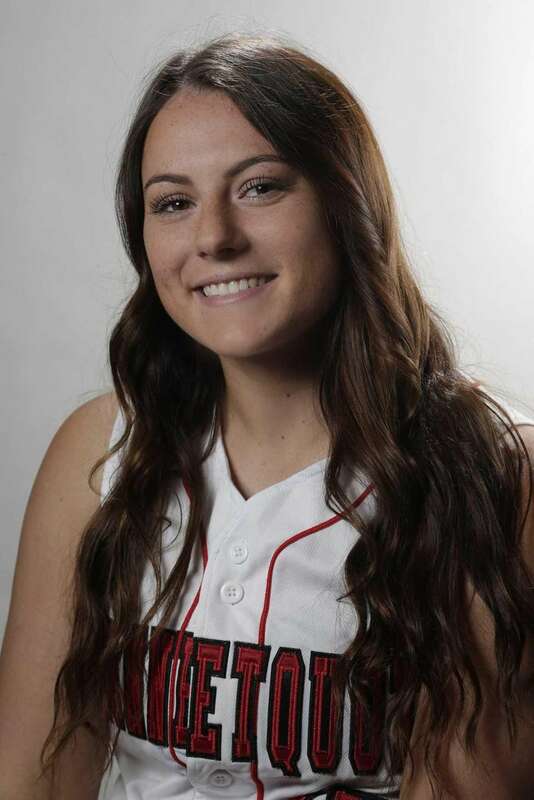 Darby Pandolfo, Massapequa, C, Sr.
Pandolfo hit .508 with five home runs, 24 RBIs, and 18 stolen bases to earn All-American honors. 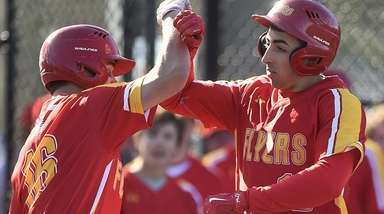 Bound for Seton Hall, Pandolfo was a master at blocking pitches and shut down the running game on the base paths, allowing just two stolen bases this season. 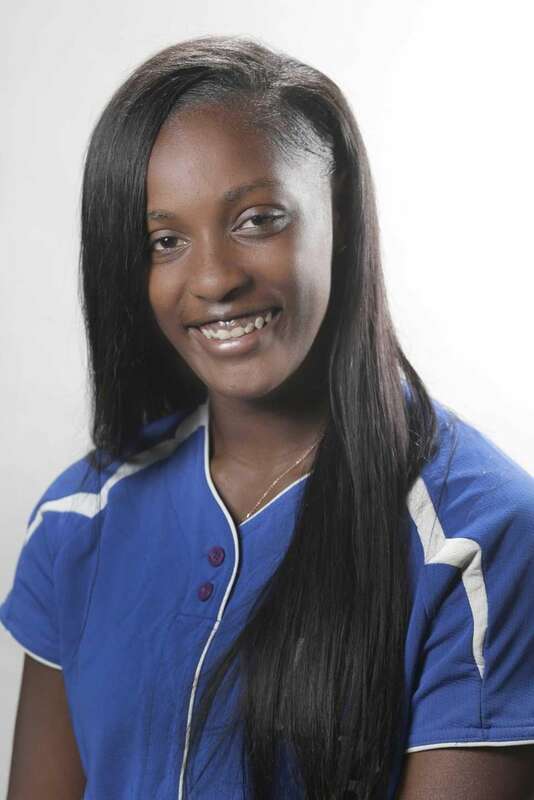 Brianna Pinto, Carey, SS, Jr.
Pinto helped win games with her bat, her speed, and her glove. The Fordham University commit hit .567, with three home runs, and 17 stolen bases. 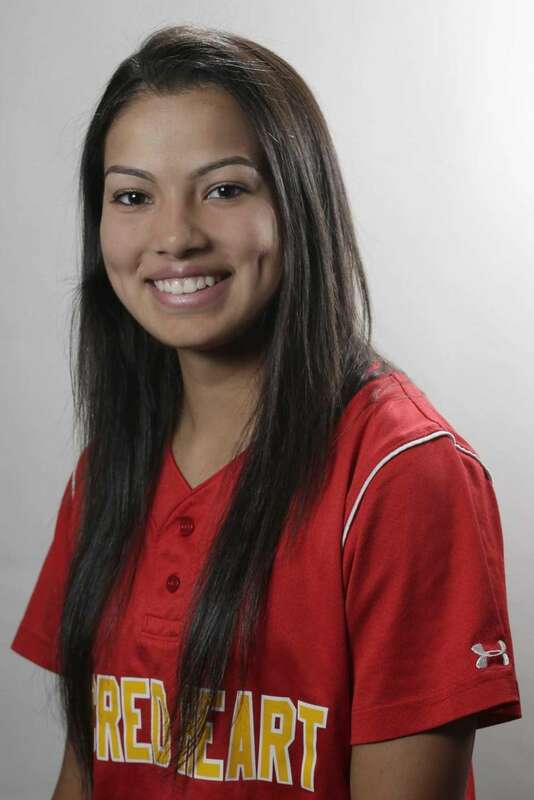 Crista San Antonio, East Meadow, 3B, Sr.
San Antonio hit .500 with 12 extra-base hits and 27 RBIs. With her range and quick instincts, the Providence College commit prevented many base hits at third base. Nahtica Shepherd, North Babylon, C, Jr. Helped lead the Bulldogs to their most successful season, hitting .535 with seven home runs and 30 RBIs as North Babylon captured its first league championship and advanced to the final four of the Class AA playoffs. 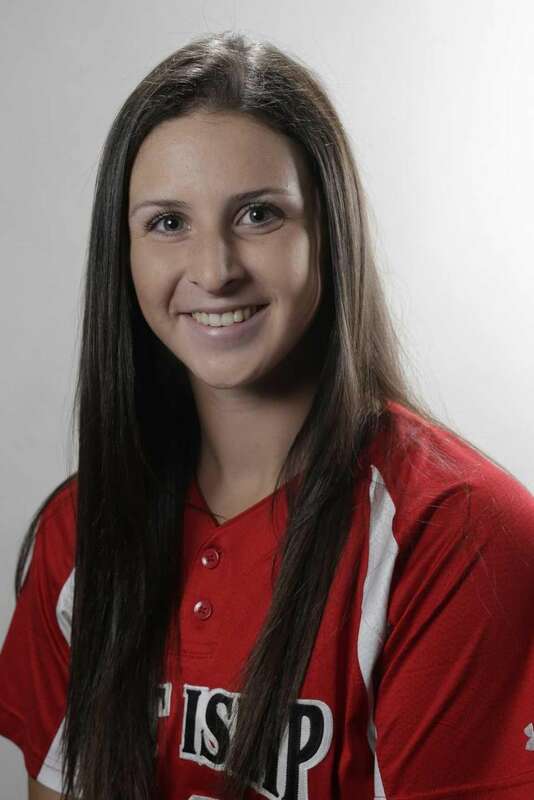 Nicole Zukowski, Patchogue-Medford, 1B, Sr.
Zukowski was one of the most feared hitters on Long Island this season. The Bryant University-bound first baseman led Suffolk AA in home runs (6) and walks (18) during the regular season, and hit .429 and 25 RBIs. Led the Spartans to their first league and state titles. 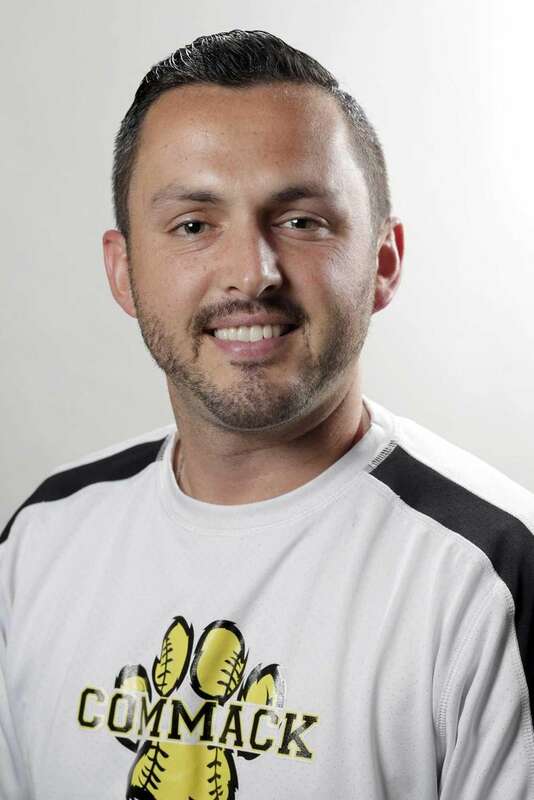 His Cougars captured their first county championship in 27 years. Grace Bandini, Oceanside, C, Sr.
Marissa Braito, Sacred Heart, SS, Soph. Alex Burns, Baldwin, CF, Soph. 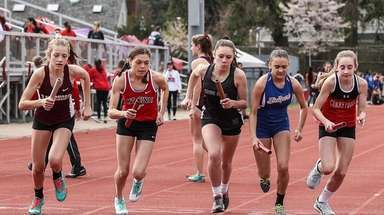 Jessica Hom, Syosset, SS, Jr.
Kailah Konkel, Eastport-South Manor, SS, Sr.
Kelle Lalier, Massapequa, SS, Jr.
Tonianne Larson, Long Beach, P, Jr.
Jessica Lombardo, MacArthur, SS, Sr.
Kelsey Marigliano, Plainedge, SS, Sr.
Taryn McGinley, Kings Park, 3B, Sr.
Claire O'Brien, Sacred Heart, P, Jr.
Sabrina Odierno, Cold Spring Harbor, C, Sr.
Kelly Rasulo, Kellenberg, 3B/1B, Sr.
Christina Rizzi, Eastport-South Manor, C, Sr.
Brooke Scherer, Clarke, C, Sr.
Briana Schippel, Valley Stream South, SS, Sr.
Lyndsey Shaw Sayville, C, Soph. Cierra Smith, Center Moriches, SS, Sr.
Rachel Wandzilak, West Islip, P, Sr.